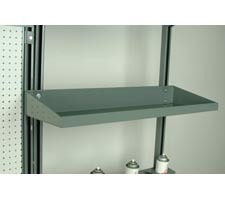 All half width overhead shelves are constructed of 16 gauge steel. 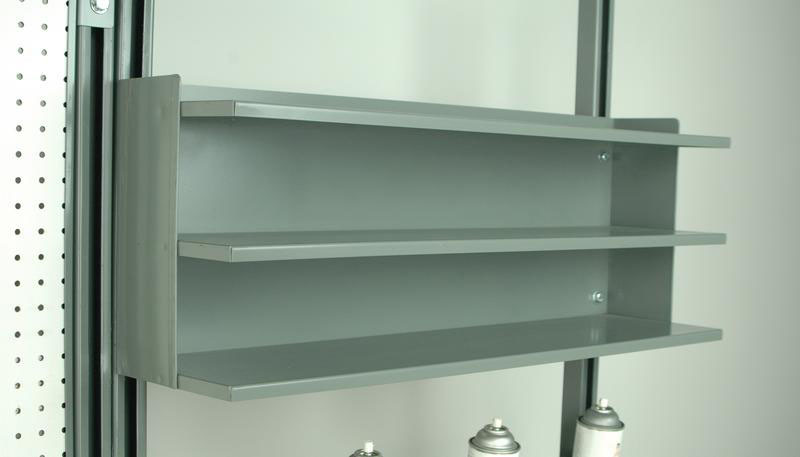 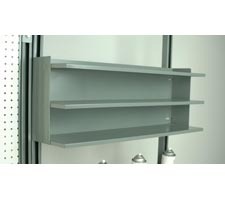 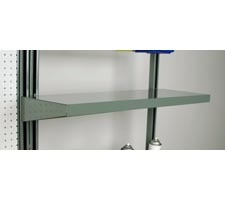 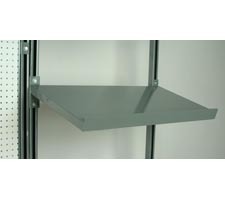 These shelves can be mounted to only split overhead support structures. 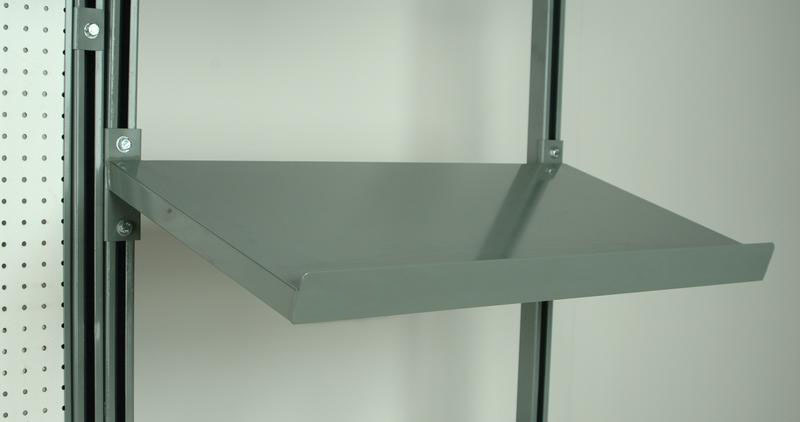 Choose from four models - flat, flat with lips, 3-shelf unit, and angled. 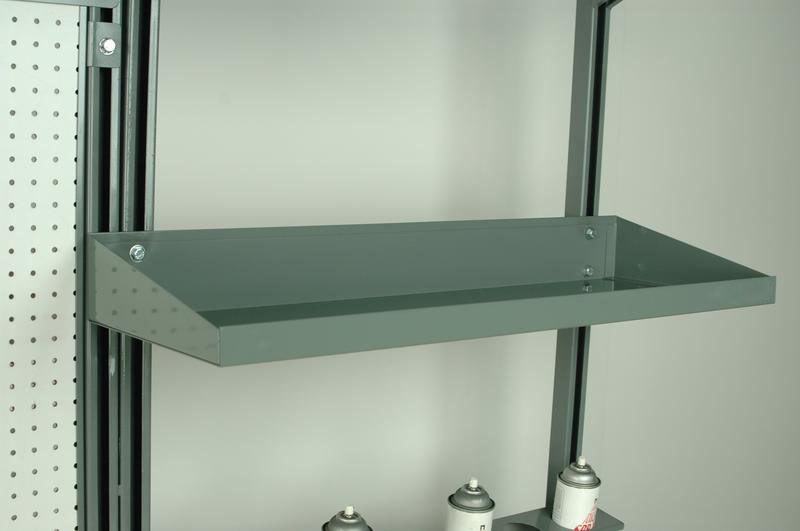 Store your tools or other accessories with these half-width pegboards for workbenches.